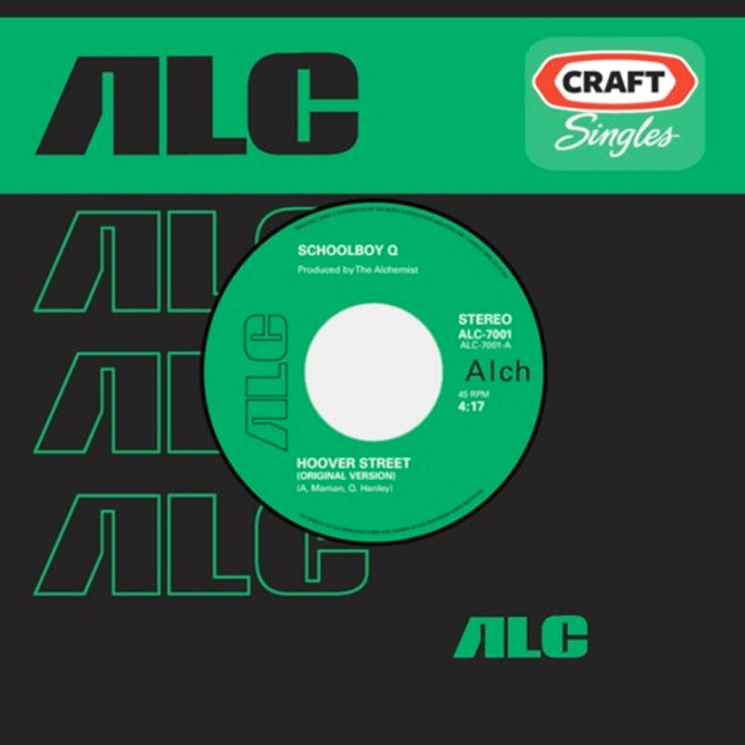 L.A. beatsmith Alchemist has started rolling out his Craft Singles series, and has shared the first of four upcoming releases. Opening the series is the original version of ScHoolboy Q's "Hoover Street." Markedly different from the version that made Q's major label debut Oxymoron, the opening section revolves around an alternate bassline in backing the TDE rapper's bars, before a more soulful sample flip dominates the beat switch in the song's back half. Hear the original version of "Hoover Street" in the player below. The song is also available for purchase on a 7-inch record, backed with the instrumental. Purchase info for physical copies can be found here.